Cosmetic dentistry refers to many different treatments available that improve the appearance of your teeth. And many of these procedures serve double duty because they also provide restorative benefits. 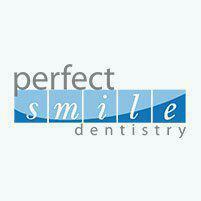 Dr. Rasmi Akel at Perfect Smile Dentistry offers a full range of aesthetic treatments. If you’re tired of hiding your mouth because of dental imperfections or discolorations, contact his offices in Wellington and Boynton Beach, Florida, or schedule an appointment online to learn about cosmetic dentistry. Cosmetic dentistry focuses on improving the appearance of your teeth, yet it accomplishes more than giving you a whiter smile. An estimated 30% of adults are so embarrassed by their teeth that they don’t smile when taking pictures. Cosmetic procedures can eliminate that discomfort and boost self-confidence. Cosmetic dentistry, or aesthetic dentistry, includes many different procedures that solve a variety of dental concerns. Whether you want to eliminate a gap between your two front teeth, cover a chipped tooth, or you’ve stopped smiling because of yellow teeth, cosmetic dentistry is a good option to consider. Are different types of cosmetic dentistry available? What should you expect during cosmetic dentistry procedures? Dr. Akel and the team at Perfect Smile Dentistry use advanced technology that ensures high-quality care and results. They use digital X-rays, which employ less radiation, yet provide higher visual clarity to evaluate the structures of your mouth. When you decide it’s time to consider a cosmetic procedure, you can count on personalized attention from the team at Perfect Smile Dentistry. They make sure to schedule a limited number of patients to ensure you have plenty of time to talk with Dr. Akel about your desired results and options. Your comfort always receives top priority. Before they begin, Dr. Akel and the staff talk with you about the cosmetic procedure, which includes a discussion about your anesthetic options. Even better, if you’re anxious about dental procedures, you’ll be able to relax and watch DVD movies during your procedure via digital goggles.